Porsche was not the first company to offer disc brakes. That honor goes to Austin Healey all the way back in 1954. Indeed, Porsche began offering disc brakes in 1962, the same year that Studebaker introduced a Bendix system on the Avanti. Despite being a bit late to the game, Porsche has always taken disc brake development very seriously. Beginning with the annular discs used on the 1962 Carrera 2, all the way through the most modern PCCB systems, Porsche has kept themselves at the forefront of brake development. Today, Porsche offers several types of brakes across its model range. For ease of identification, these systems are color coded. Each system gets a unique caliper color to help identify which system is in use. 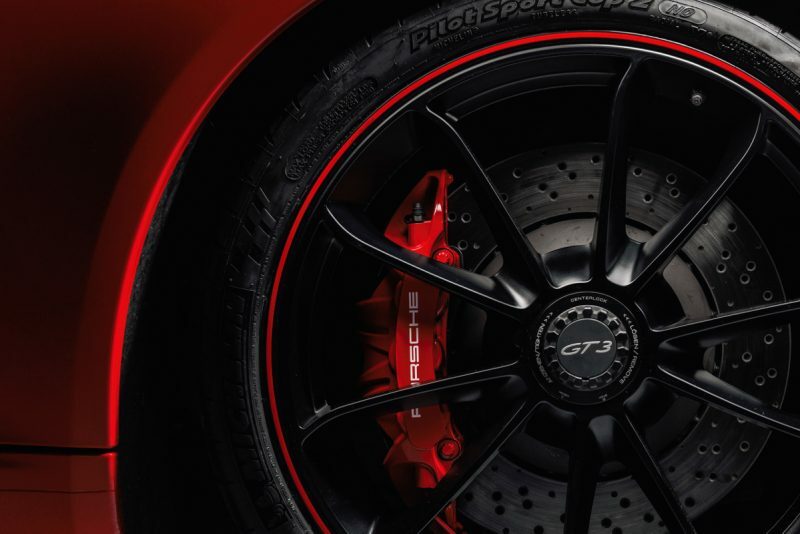 In a modern Porsche, black calipers signify the standard brake package. In a 911, for instance, this means 350mm cast front and rear rotors with cast monobloc calipers front and rear. Incidentally, black was the first color used on Porsche brake calipers, with black cast aluminum calipers first appearing on the 928 and 911 in the late 1970s. For lesser models, this signified upgraded brakes from the often unfinished standard calipers. For example, where a standard 944 used zinc plated single piston calipers, the Turbo, Turbo S and S2 used black-finished cast aluminum calipers. Today, black calipers are the standard brakes on any Porsche model. The standard brakes used on Porsche "S" models come finished in either silver or red. Typically, sports cars use red calipers, while the Macan, Panamera and Cayenne use silver. This shift in colors also signifies the first brake upgrade. 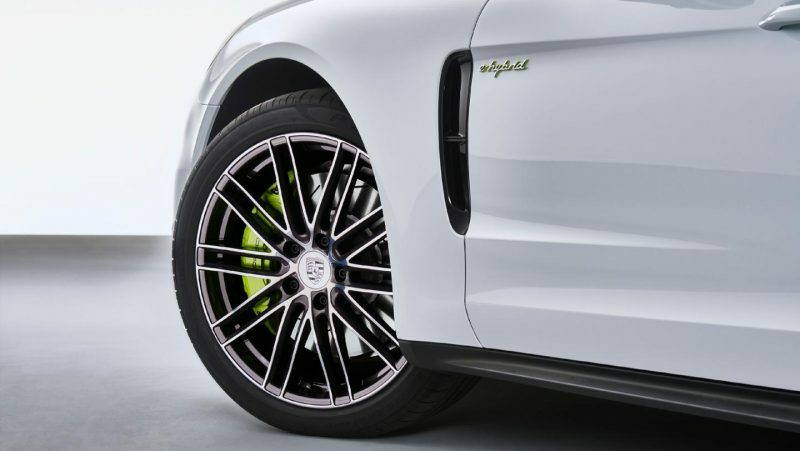 For instance, a base Macan uses a 345mm front brake rotor with a 4-piston monoblock caliper. Moving the S model nets both a larger disc, and a more powerful 6-piston brake caliper. Curiously, while the colors change from model to model, this does not always signify that the brakes themselves are substantially different. For instance, both the base 718 Cayman and 718 Cayman S use the same 4-piston front and rear calipers, clamping the same size 330mm front and 300mm rear brake rotors. Consult the model specification sheet for the model you are interested in to see if that particular S model includes larger brakes. Green brakes are used almost exclusively on Porsche hybrid models, including the 918 Hypercar. In this instance, the color of the brakes does not necessarily indicate the type of disc brake system in use. Regenerative braking is used by all but one model with green brake calipers. The only exception to this rule is the 997 Turbo S Edition 918 Hybrid. This model was sold as an add-on for 918 Hybrid buyers, and was finished to match the 918. As such, this model uses acid green brake calipers, but does not feature a hybrid system. These are the top brakes in the Porsche lineup. First launched on the 996 GT2 road car in 2001, Porsche's Carbon Ceramic discs are able withstand significantly higher temperatures than their grey iron counterparts. These brakes are formed using ceramic bonded with carbon fiber. The ceramic provides the heat resistance in the rotor, while the bonded carbon filament provides the strength. These brakes are available in virtually all Porsche models, ranging from the base Boxster, all the way to the top 911s, Panamera and Cayenne. In addition to shedding more heat, carbon ceramic brakes weigh up to 50% less than standard brake rotors. This weight reduction decreases unsprung weight, sharpening cornering and improving ride quality. Though they are a very expensive option, at some $7,410USD on a base Cayman and $9,210USD on a 991 Turbo, these brakes offer superior fade resistance, and an increased lifespan compared to their iron counterparts. A short video on how Carbon Ceramic brakes are made is attached below. White brakes are also available. And the Acid Greens can be ordered in black for no extra charge.